Use the instructions on this page to learn how to access the VA Hospital job application online via the organization’s employment site. 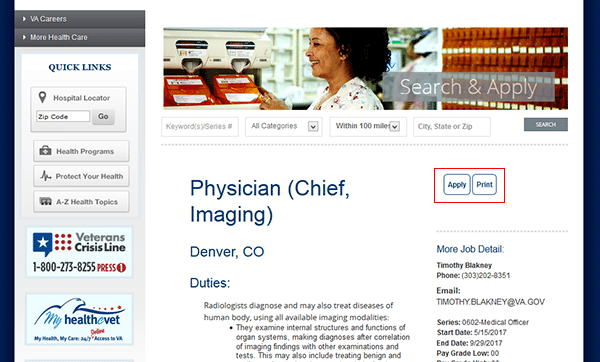 Although numerous types of positions can be searched/applied for online, the guide posted below details how to search/apply for hospital positions. About the Organization: The U.S. Department of Veteran Affairs is a federal agency that provides healthcare services to military veterans. The agency operates countless locations across the United States. The VA was created in 1930, and currently employs more than 350,000 people. Step 1 – Copy and paste the following URL into a new tab/window (of your current web browser) and then open the link. 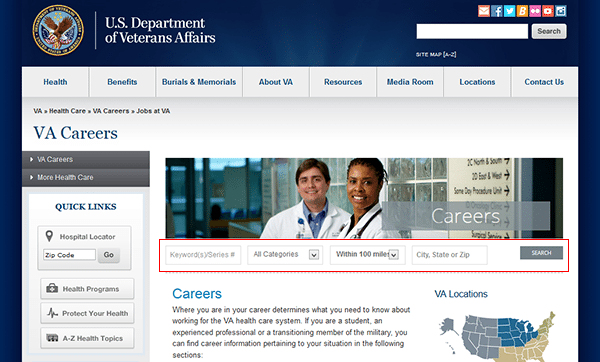 Note: You can also press the button near the top of this page to load the VA employment site in your current tab/window. Step 2 – Fill in the search form by entering a keyword into the first input field, selecting a category/search radius, and then entering a city/state/zip code into the second input field. Press the “Search” button to view the results. 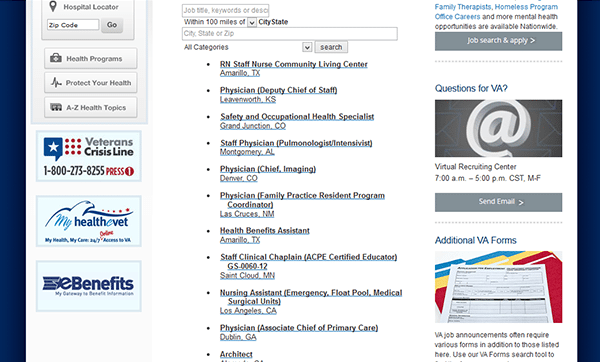 Step 3 – Scroll down the page to view the list of current job openings. Click the link of the position that you want to start the online application process for. Step 5 – Click the button as outlined below to go to the next step of the process. 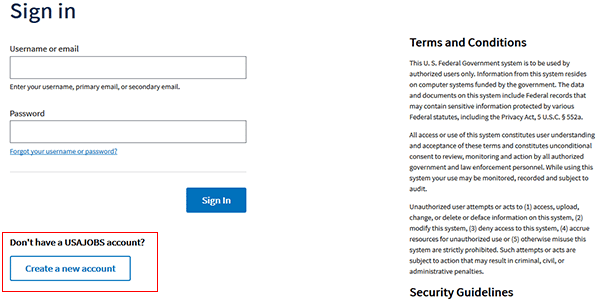 Step 6 – In order to apply for a position online you must create an account on the usajobs.gov website. Press the “Create a New Account” button. 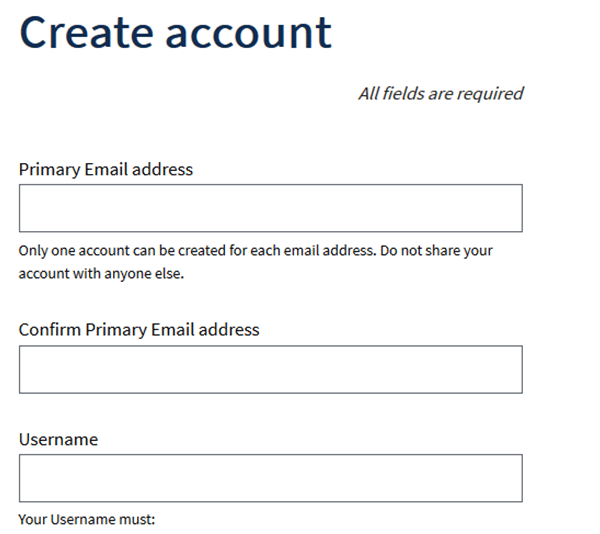 Step 8 – After your account has been created you will need to create your profile. Complete all sections of the profile and then submit it to the position that you want to apply for.